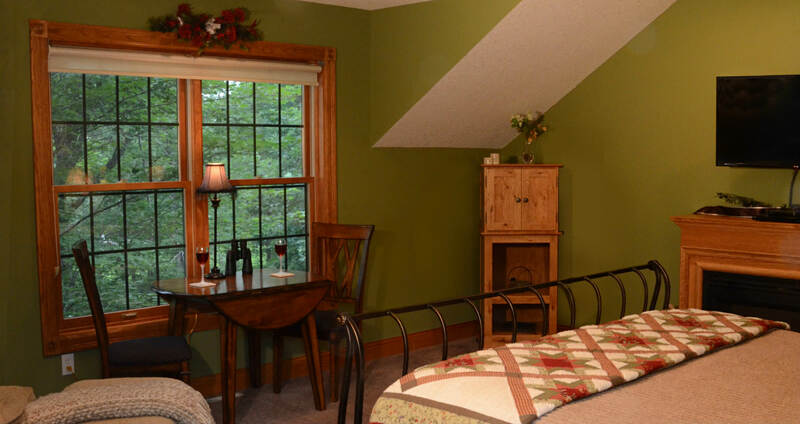 This newly refurbished room at Woodland Trails Bed and Breakfast is the perfect alternative to hotel lodging in Hinckley, Minnesota. Guests who have stayed in our Winterberry Room before will now find a new king-size bed, new wall color – now medium green – and new carpet. The electric fireplace has a formal wood surround with mantle. 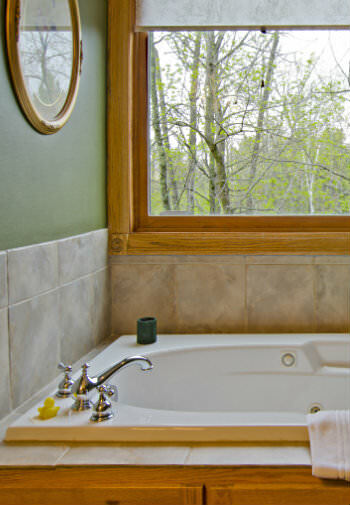 The new private bath features a small whirlpool tub and separate shower. See how the Winterberry compares to the other B&B rooms.